Did you know that Thanksgiving is a National Day of Mourning for Native Americans? Thanksgiving is a holiday where families gather to share stories, football games are watched on television and a big feast is served, but does anyone ever wonder why we celebrate this national holiday? Why does everyone give thanks? Once again walking in the truth causes you to RETHINK everything you were taught growing up regarding these holidays. From our historical research and study on the origins of Thanksgiving, it looks like THIS holiday was NOT rooted in sexual perversion, blood sacrifice and satanic paganism like the rest, but what IS interesting is the disturbing information we did dig up.. Yes, we all have be taught in school what the history books say from the standpoint of Americans, but what do the Native Americans think or have to say about this world wide spread holiday of thanks. The standard history of Thanksgiving tells us that the “Pilgrims and Indians” feasted for three days, right? Most Americans believe that there was some magnificent bountiful harvest. In the Thanksgiving story, are the “Indians” even acknowledged by a tribe? No, because everyone assumes “Indians” are the same. So, who were these Indians in 1621? In 1620, Pilgrims arrived on the Mayflower naming the land Plymouth Rock. One fact that is always hidden is that the village was already named Patuxet and the Wampanoag Indians lived there for thousands of years. To many Americans, Plymouth Rock is a symbol. Sad but true many people assume, “It is the rock on which our nation began.” In 1621, Pilgrims did have a feast but it was not repeated years thereafter. So, it wasn’t the beginning of a Thanksgiving tradition nor did Pilgrims call it a Thanksgiving feast. Pilgrims perceived Indians in relation to the Devil and the only reason why they were invited to that feast was for the purpose of negotiating a treaty that would secure the lands for the Pilgrims. The reason why we have so many myths about Thanksgiving is that it is an invented tradition. So, what truth ought to be taught? In 1637, the official Thanksgiving holiday we know today came into existence. Some people argue it formally came into existence during the Civil War, in 1863, when President Lincoln proclaimed it, which also was the same year he had 38 Sioux hung on Christmas Eve. William Newell, a Penobscot Indian and former chair of the anthropology department of the University of Connecticut, claims that the first Thanksgiving was NOT “a festive gathering of Indians and Pilgrims, but rather a celebration of the massacre of 700 Pequot men, women and children.” In 1637, the Pequot tribe of Connecticut gathered for the annual Green Corn Dance ceremony on what is now Groton, Connecticut. Mercenaries of the English and Dutch surrounded the village; they attacked, began burning down everything in the camp and proceeded to shoot, stab, butcher, burn alive, and shooting whomever tried to escape, 700 people total. The next day, Newell notes, the Governor of Massachusetts Bay Colony declared: “A day of Thanksgiving, thanking God that they had eliminated over 700 men, women and children.” It was signed into law that, “This day forth shall be a day of celebration and thanksgiving for subduing the Pequots.” In the ensuing madness of the Indian extermination, natives were scalped, burned, mutilated and sold into slavery, and a feast was held in celebration every time a successful massacre took place. The killing frenzy got so bad that even the Churches of Manhattan announced a day of "thanksgiving" to celebrate victory over the "heathen savages," and many celebrated by kicking the severed heads of Pequot people through the streets like soccer balls. After the Pilgrims' arrival, Native Americans in New England grew increasingly frustrated with the English settlers' abuse and treachery. Metacomet (King Philip), a son of the Wampanoag sachem known as the Massasoit (Ousameqin), called upon all Native people to unite to defend their homelands against encroachment. The resulting "King Philip's War" lasted from 1675-1676. Metacomet was murdered in Rhode Island in August 1676, and his body was mutilated. His head was impaled on a pike and was displayed near this site for more than 20 years. One hand was sent to Boston, the other to England. Metacomet's wife and son, along with the families of many of the Native American combatants, were sold into slavery in the West Indies by the English victors." Most Americans believe Thanksgiving was this wonderful dinner and harvest celebration. The truth is the “Thanksgiving dinner” was invented both to instill a false pride in Americans and to cover up the massacre. It was not until 1863 that Abe Lincoln, needing a wave of patriotism to hold the country together, that Thanksgiving was nationally and officially declared and set forth to this day. At the time, two days were announced as days to give thanks, the first was a celebration of the victory at Gettysburg on August 6th, and the second one became the Thursday in November that we know now. Also what is very interesting is that “Thanksgiving day” to the Indians is a National Day of Mourning. Since 1970, Native Americans have gathered at noon on Cole's Hill in Plymouth to commemorate a National Day of Mourning on the US Thanksgiving holiday. 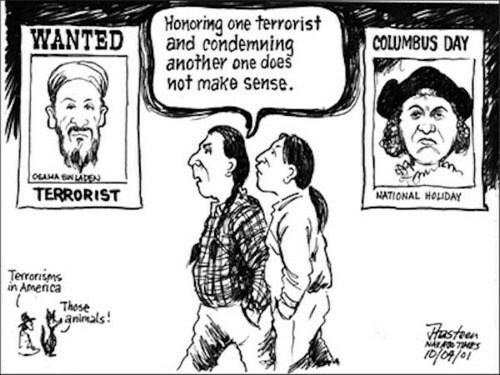 Many Native Americans do not celebrate the arrival of the Pilgrims and other European settlers. 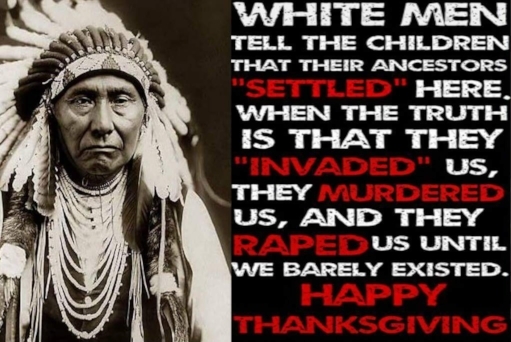 To them, Thanksgiving Day is a reminder of the genocide of millions of their people, the theft of their lands, and the relentless assault on their culture. Participants in a National Day of Mourning honor Native ancestors and the struggles of Native peoples to survive today. It is a day of remembrance and spiritual connection as well as a protest of the racism and oppression which Native Americans continue to experience. So next time you see the annual “Pilgrim and Indian display” in a shopping window, or watch a school re-enact Thanksgiving in a play, think about the true origins of the holiday and the massacre of Native Americans; think about the hurt and disrespect they feel. For the Native Indians, Thanksgiving is observed as a day of sorrow rather than a celebration. 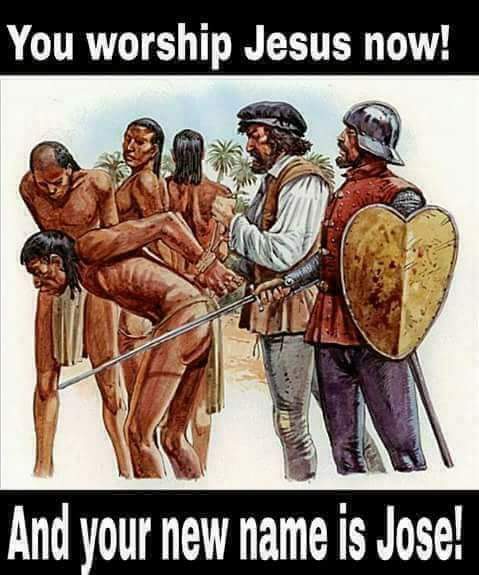 We know this may seem far fetched if you're not part of the Native American people, but we would ask this: how would people feel if there was a National Day to celebrate the slavery of the Negros in the 1600’s, or a day of celebration for the deaths during the Holocaust, or how would the American’s feel if we had a day we feasted and happily celebrated all the those who were killed on 911. Those that walk in the truth are called to be set apart from the world and what the world has hidden from us is that the Native Americas are a tribe of Gad (one of the 12 Tribes of Israel, YaHuWaH's elect). If we as the elect of YaHuWaH share in the traditions of this day knowing that YaHuWaH's people are mourning the genocide of their race, are we truly showing that we are set apart from this world. This year when the masses are preparing for Thanksgiving and using it as yet another reason to party, ponder why you are giving thanks and let the set apart ruwach (spirit) lead your actions. 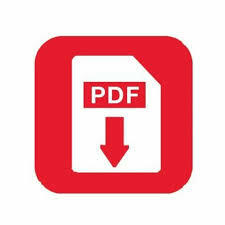 The book “103 amazing facts about the black Indian of the western hemisphere”, unveils the true identity of the said African American, Latino and Hispanic. It not only exposes the pseudo titles placed upon indigenous people of the western hemisphere, but acts as an antidote that breaks the spell of amnesia. An unprecedented work of art, the book is written in a style that de-programs the mind, while re-programming the mind simultaneously. 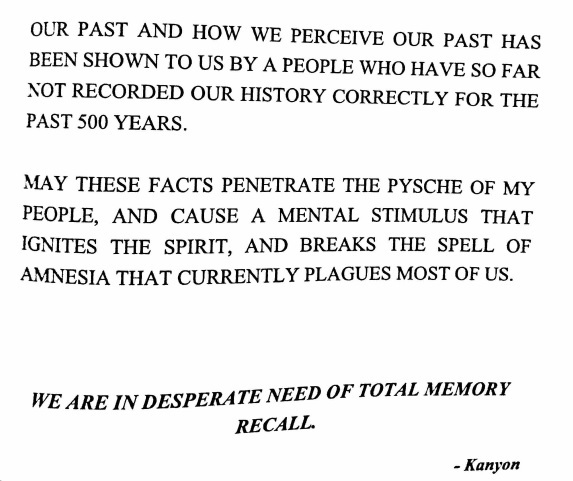 The author takes you into, and reveals the psychological details and layers of programming, that has transformed the true indigenous people of the western hemisphere, into a newly made and manufactured entity, on a mental, spiritual and physical level. The book exposes and takes you right to the yoke of the matter in layman terms. Russell Means is the most controversial Indian leader of our time. Where White Men Fear to Tread is the well-detailed, first-hand story of his life so far, in which he has done everything possible to dramatize and justify the Native American aim of self-determination, such as storming Mount Rushmore, seizing Plymouth Rock, running for President in 1988, and--most notoriously--leading a 71-day takeover of Wounded Knee, South Dakota, in 1973. This book give Insight into the native Indians and reveals the lies and deceit of Europeans. The constitution was developed by Indians (Iroquois Confederacy), which is not talked about in any history book. The murder, genocide, and theft of Indian sacred land continues. The first genocide and first concentration camps were developed and there, FORCED conversions to Christianity took place. Glenn Beck takes a look at Indian artifacts dating from around 800 BC.